Farming is among occupations with the highest risk of occupational skin disease (OSD). Up to one-third of farmers complain of work-related skin problems. The incidence of OSD in farmers may be four times higher than in non-farming occupations and up to forty times higher than incidence of occupational respiratory diseases. Farm work-related hazards to the skin include irritants, haptens and allergens of plant, animal, microbial and chemical origin, infectious microbes, parasites, and carcinogens. Farm work-related exposures are complex and variable, which makes them difficult to identify, define, measure, and analyze in objective scientific terms and thus results in major difficulties when assessing the causal relationship between farm work and skin disease. In many countries self-employed farmers do not undergo prophylactic (preemployment or periodic) health checks, which significantly compromises the possibility of primary and secondary prevention of OSD in farmers. As traditional farms combine functions of work place and dwelling, farmer’s children become exposed to occupational hazards in early life, which may lead to the development of farm work-related OSD even before their first formal employment. 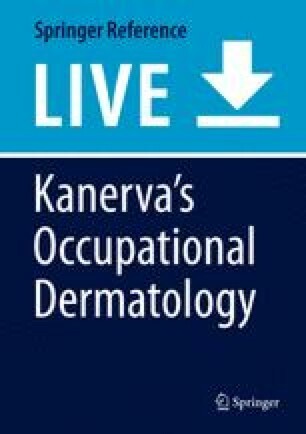 Risk factors for early developing of a farm work-related skin disease are presented in order to enable identification of people at particular risk of occupational skin disease.